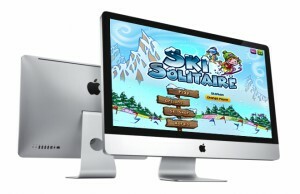 Ski Solitaire: Ported to Mac! We didn’t want to contain the fun for just the iPad so we’ve ported it to the Mac. As it will be made available via the Mac App Store, Snow Leopard and Lion users will be able to buy the game once the beta testing has completed and Apple approves it. It’s a good game…. I did play it for a fair while so you’ve done something right! – Phil C.